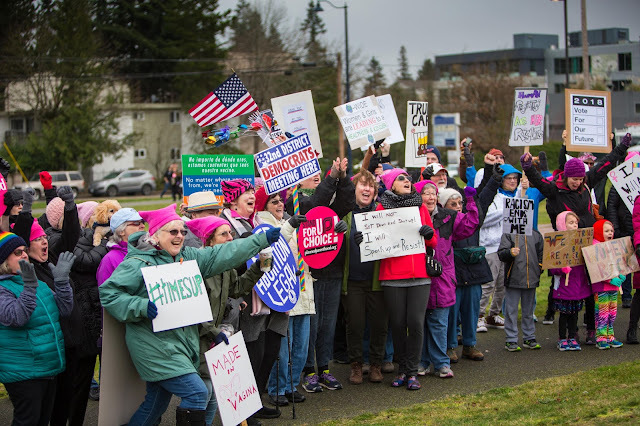 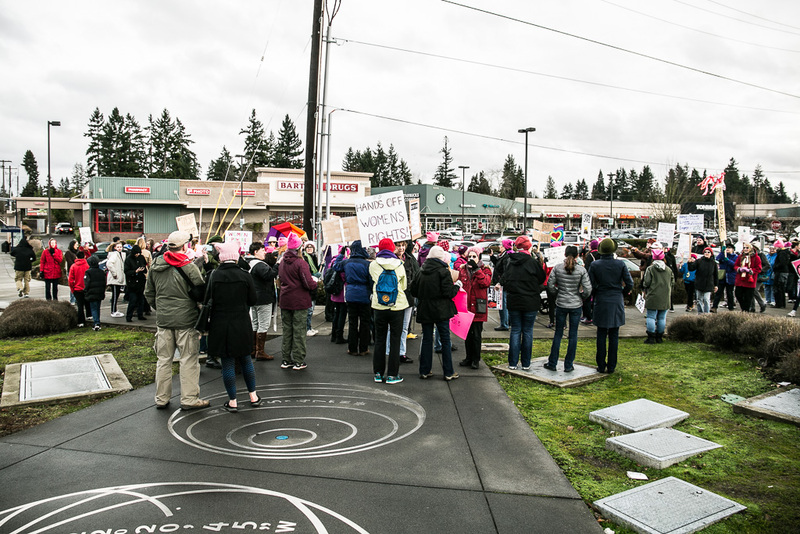 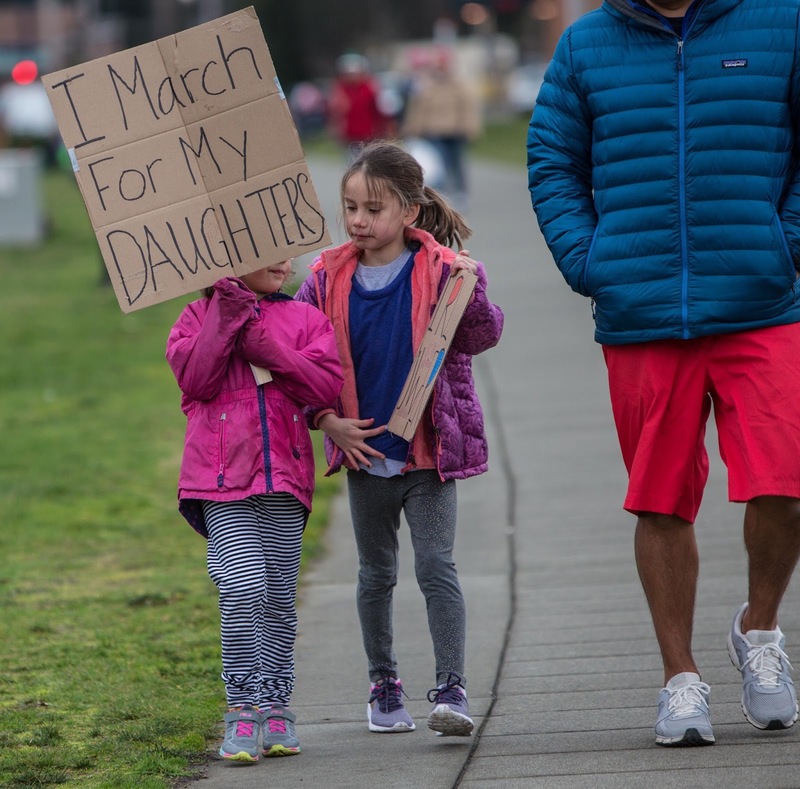 Many local residents went to the big Women's March in Seattle, which attracted tens of thousands of marchers. 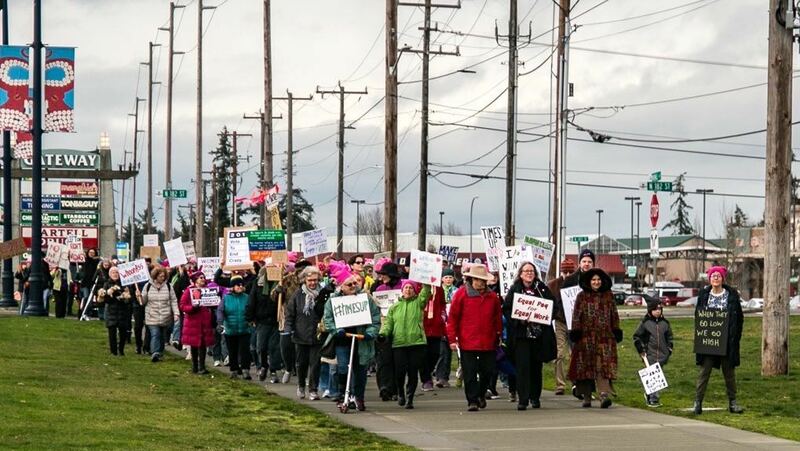 But about 150 preferred to stay closer to home and march in Shoreline. 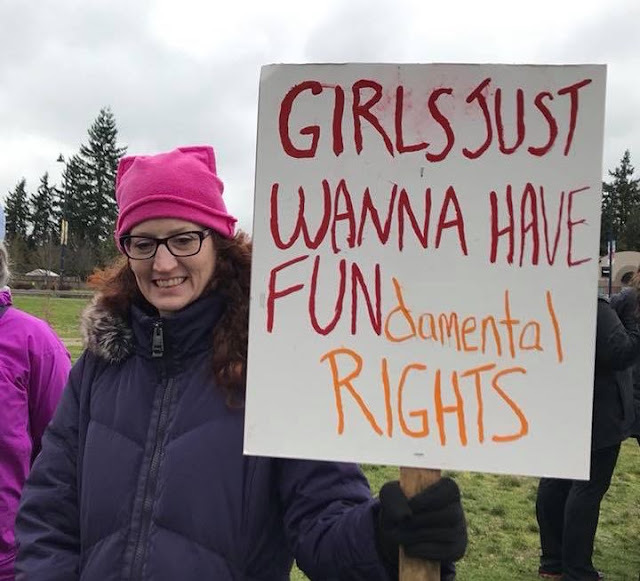 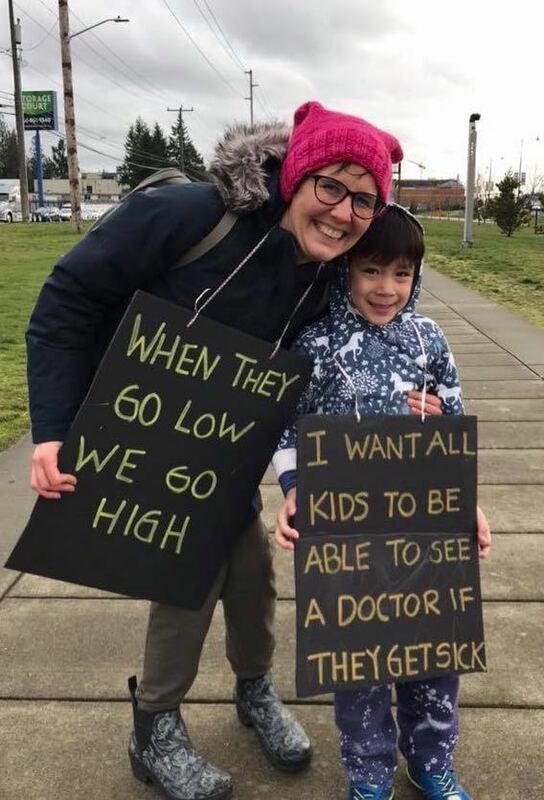 They wore their pink pussyhats, and brought husbands, children, dogs, and lots of handmade signs. 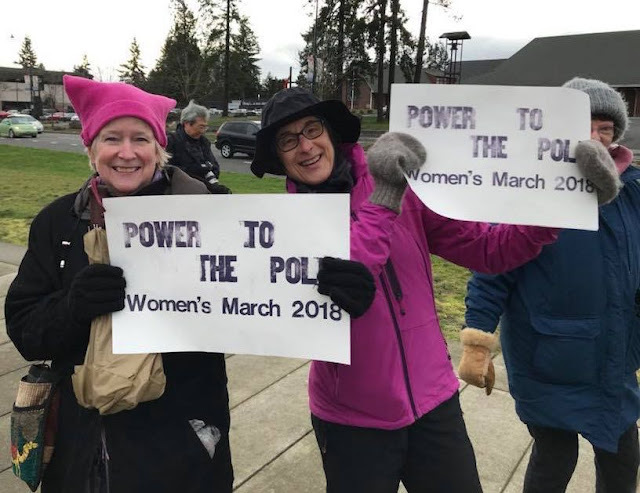 The event was organized by Shoreline residents Omkari Emenke and Cheryl Tyler Gruwell. Marchers gathered on the Interurban Trail at N 175th for a rally, then marched to N 185th for another rally, then back to N 175th, carrying signs. 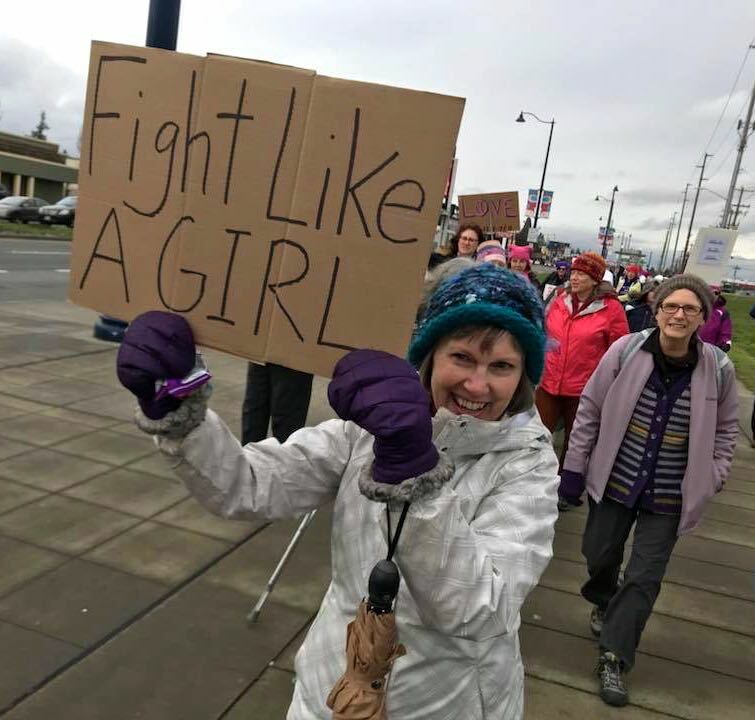 Vehicles driving by on Aurora honked in support.